Pachgai Khera village is just 20 km from Agra, where tourists sip bottled water as they gaze at the Taj. But the fluoride-laden groundwater that the villagers are forced to drink leaves them crippled and bent. The water they drink poisons their bones. 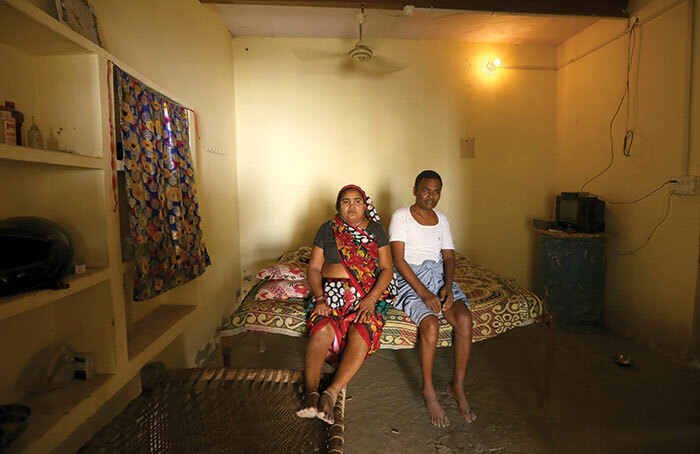 Scores of people in Pachgai Khera, a village of some 500 residents, some 20 kilometres from Agra and off National Highway 44, are bent over or have their limbs twisted at the joints. Many have mottled or darkened teeth. 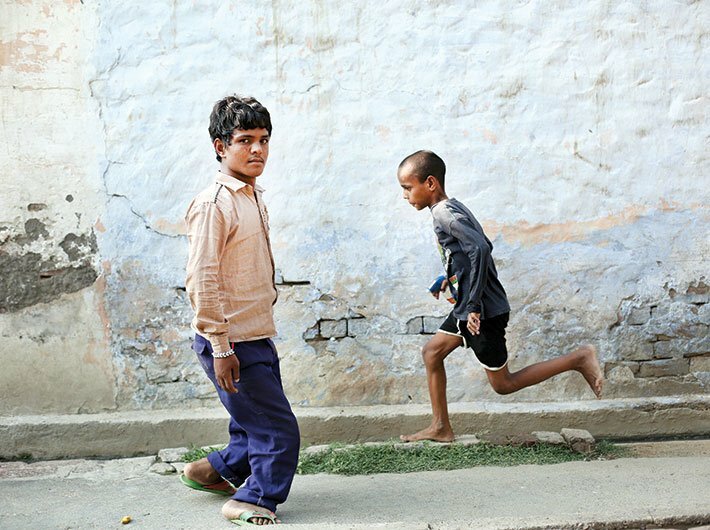 Growing children are stunted in their teens, their studies and play halted, their movement and confidence impaired by twisted limbs and dwarfism. Cataract is common. Every other person, even if not deformed, complains of joint aches. It’s the same in the neighbouring villages of Patti Pachgai and Rohta. The culprit: fluorosis, caused by long-term consumption of water with too much fluoride. 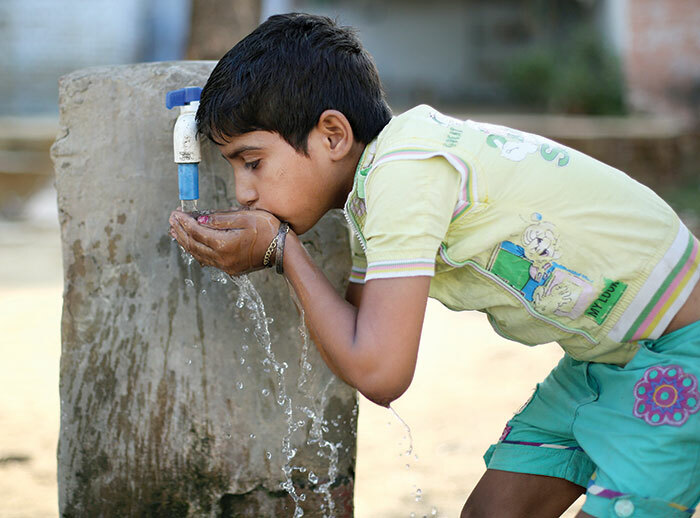 The permissible limit for fluoride in water is 1 ppm (part per million); the health department of Uttar Pradesh found that fluoride levels in groundwater in the region is 3.5-4.5 ppm. This is caused by fluorspar and fluorite deposits in the soil that dissolve in groundwater. The only solution is to have safe water piped or transported to this village. “If bringing water to the area is difficult, deep boring should be done. Water obtained from 500 feet deep will be far better than what is obtained from shallow wells,” says Dr BS Yadav, the chief medical officer for Agra district. A borewell pump draws ground water, which is stored in a badly maintained tank and then piped to taps from which many villagers draw water. But the ground water is fluoride laden, and it is not treated before supply, villagers end up with fluorosis. 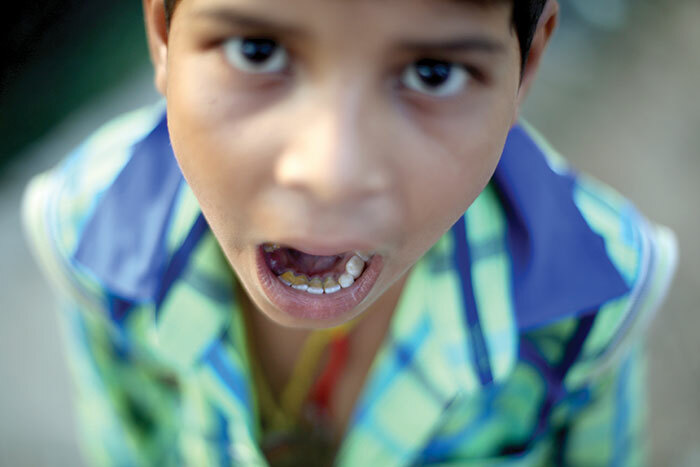 Most children in the village have brittle teeth, stained a dirty yellow from the fluoride deposits. As they grow older, if they continue drinking the same water, their teeth will become mottled and dark. 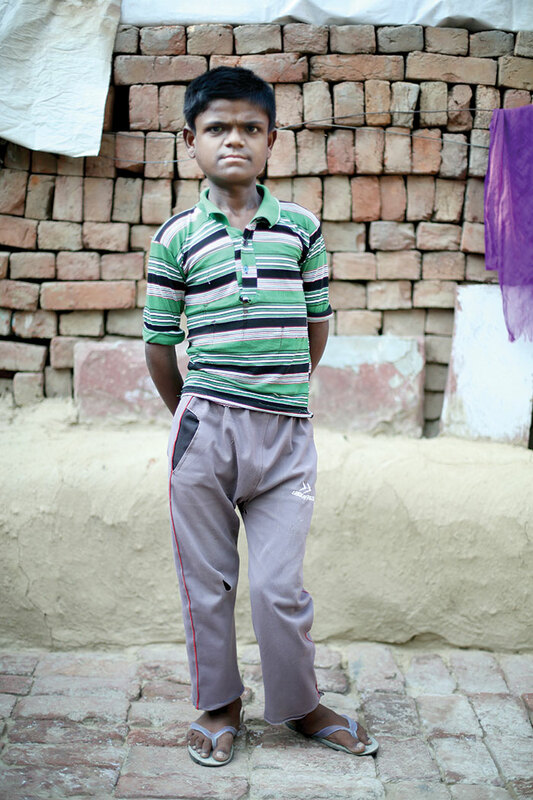 Rohit, who is 12-years-old, goes to school only when someone is able to carry him there. He doesn’t go out to play, and keeps to a corner in his house. His legs are bent, so he cannot join his two sisters and two brothers, who go to school and play in the streets. His mother Sunita, worries about his future – she even looks darkly ahead and wonders if anyone will marry him. She knows his condition is likely to worsen: she has seen it happening to so many others. The 500-foot-deep well is a dream better left undreamt. “Where will I bring the money for that?” The villagers could of course pool money for a common borewell, but then there is the shadow of caste divisions. Gurdayal is 16, and gave up studies after class X. When he was about 11, he realised his legs were getting deformed. “It’s all because of this handpump,” he says, pointing to the pump from which his neighbourhood draws drinking water. He even believes the same water is to blame for a stray dog’s bent legs.